Despite the lessons offered by dozens of celebrities in the recent past, rockstars and pop-stars continue to experience issues that could have easily been avoided if only they had a geopolitical risk consultant on staff. Photo by Milena Rodban. All rights reserved. Milena Rodban is an independent Geopolitical Risk Consultant and a Global Fellow with The Project for the Study of the 21st Century. She is currently writing a book. For insights on political risk and international relations, follow her on Twitter: @MilenaRodban. Over the last week or so, I’ve seen a steady stream of articles that suggest rockstars are very bad at recognizing, assessing and mitigating geopolitical risks. Despite the lessons offered by dozens of celebrities in the recent past, rockstars and pop-stars continue to experience issues that could have easily been avoided if only they had a geopolitical risk consultant on staff. I know most people don’t think there’s any crossover between the work of geopolitical risk consultants and celebrities, but once you understand, it’s stunningly clear- every celebrity should have one to help them avoid problems and take advantage of opportunities while growing and sustaining their global brands. Let’s review each of the cases and analyze how a geopolitical risk consultant would have helped. The first story I saw last week involved Maroon 5, a band with a global fan base, currently on their “V” world tour. The band’s much anticipated China tour dates in September 2015 were abruptly cancelled last week. Speculation regarding the cause ultimately settled on a tweet posted by group member Jesse Carmichael, wishing the Dalai Lama, Tibet’s controversial spiritual leader, a happy birthday. The tweet has since been removed. Any geopolitical risk consultant worth their fees should have told the band that the Chinese government would view any examples of public support for the Dalai Lama negatively. A great geopolitical risk consultant would have briefed Maroon 5 on controversial topics well in advance of their tour, not after the fact. It’s not as though support for the Dalai Lama has never affected a band before. There are plenty of bands that faced the ire of the Chinese government over support for the Dalai Lama, continued their public support, and accepted the fact that they’d never tour China. But they know the costs. 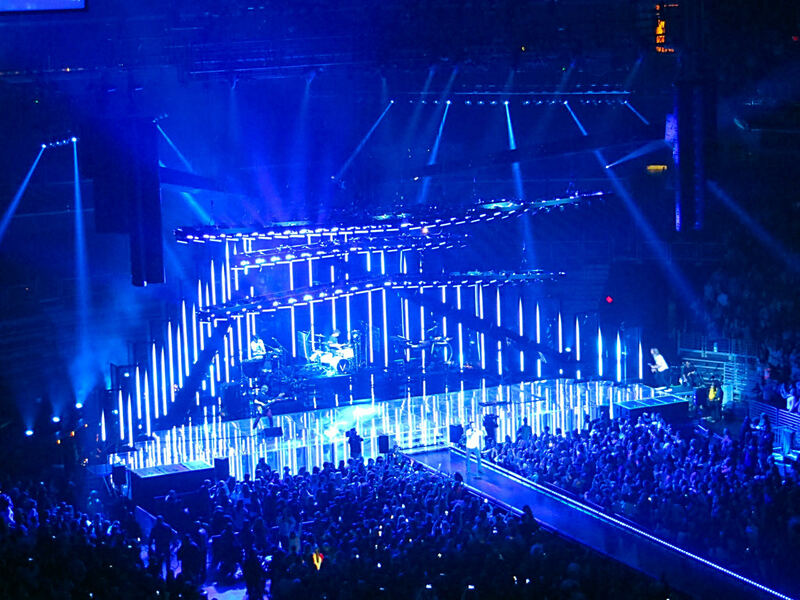 In this case, two cancelled concerts in Shanghai and Beijing constitute a financial and reputational loss for the band, its organizer Live Nation, and the fans who eagerly anticipated seeing Maroon 5 play. Is it Maroon 5’s fault that they aren’t experts on geopolitical intricacies? No, but making sure they had someone who could acquaint them with the relevant facts is definitely a necessity for any global band and brand to explore. We’ve seen single tweets ruin careers. We’ve seen off-hand tweets move markets. Is it any surprise then that tweets, or any social media posts, can substantially affect the level of geopolitical risk that global rockstars face? Yet another case is that of Taylor Swift, who just announced a foray into the Chinese market via a fashion line launched in conjunction with her “1989” world tour. Unsurprisingly, the gear will feature her initials, “TS,” and the year “1989,” her year of birth. Who can tell me why that’s a geopolitically sensitive issue? Ding ding ding! Yes, the Tiananmen Square (TS) massacre took place in 1989! Now, clearly this is a coincidence, since those are her real initials and her real year of birth, and that Taylor Swift doesn’t take a provocative stance on a very controversial historical event. But as any smart geopolitical risk consultant will tell you, there are no coincidences in geopolitics. Especially not when it comes to issues as politically charged as the incident in Tiananmen Square. Again, a great geopolitical risk consultant would have raised this issue when reviewing the design concept, and not after plenty of the gear had been made. Most people would be surprised to hear that I’m advocating that a geopolitical risk consultant be involved in reviewing designs, but it seems obvious that symbols, and especially pop culture symbols, have the potential to run into geopolitical issues. The point I’m making here is not that a geopolitical risk consultant would have urged her to consider every geopolitical issue before choosing a name for an album or a world tour. The point is that these pop-stars should not be caught off guard by these issues after the fact. If she were adamant, then at least the likely costs and other factors would have been understood and accepted in advance. Steps could’ve been taken to mitigate the problem, such as making it clear that the year is referring to her birth or tour, and avoid the need to re-design an entire line just before a planned launch. A geopolitical risk consultant won’t guarantee that you won’t ever lose money, but they will make sure you know that the loss is likely in advance of incurring it, so that should you continue on your course, he or she can help you mitigate the damage. Thus far, both cases have involved China, a country that presents a lucrative market to Western musicians seeking to expand their brand and increase their followings. But much as China is fraught with political risk from the micro, or city, level, to the national level, for businesses such as mining firms, construction companies and media conglomerates, so too is there a high level of geopolitical risk for artists of all mediums. The same types of issues will no doubt pose a challenge for pop-stars seeking to enter other attractive, new (or newly opened) markets, such as Iran and Cuba, for example. Artists will continue to need ongoing geopolitical risk assessments, since in some countries, the legal and cultural environment remains fluid, trending towards openness in some cases, while becoming more restrictive in others. This is particularly true in countries like Russia, where homosexuality remains legal, though a gay propaganda law was passed in 2013, and continues to be enforced, and in Kenya, where homosexuality is illegal, and draft laws increasing the punishments are being considered within the legislative and judicial branches of government. Given the fluid nature of emerging legal frameworks, changing geopolitical realities and evolving cultural norms, those who invest in the services of smart geopolitical risk consultants will have a clear advantage over those who do not- who risk their reputations and finances on what amounts to navigating geopolitical minefields while blindfolded. Finally we have the case of Chris Brown, stuck in the Philippines because of an ongoing contractual dispute involving his failure to return an advance fee paid to him to play a New Years concert that he ultimately skipped. This is a purely legal issue; there are no political or cultural forces at play, and therefore, it seems all the more stunning that such a simple situation was not correctly addressed from the start. A geopolitical risk consultant would have reviewed the policies for the enforcement of contracts in the Philippines and warned him not to travel to a country that enforces disputes by barring people from leaving until a dispute is resolved. Therefore, he could’ve ensured that his legal team either negotiated a resolution prior to his arrival, or he could’ve skipped traveling there this time. This rule barring departure exists in several countries, and officials don’t care if the person they’re detaining has a Grammy. Now, he’s stuck in the country, has missed a scheduled performance in Hong Kong, and looks a bit foolish for not thinking before landing. The machinations involved in seeking a clearance to leave will be a much bigger hassle than those involved in resolving the issue beforehand. Celebrities: do yourselves a favor. Hire a geopolitical risk consultant. Will they help you avoid every problem? No, but they’ll certainly make sure you know what you’re getting into when you take a geopolitically controversial public stance, wade into geopolitically charged waters, or forget that your Grammy awards don’t let you fly as high as a passport does. That way, you can decide if the benefits outweigh the costs, and minimize the fallout likely to affect your fan base, your bottom line and your brand. PS21 is a non-ideological, non-governmental, non-partisan organization. All views expressed are the author’s own. This piece was originally posted on Medium.com on July 22, 2015.